"Some dams have broken, and others have reached full capacity, they'll very soon open the flood gates. It's a convergence of flooding, cyclones, dams breaking and making a potential wave: everything's in place so we get a perfect storm." 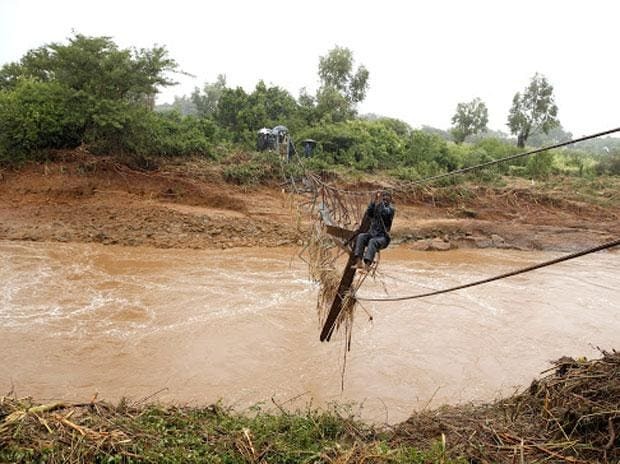 Nyusi said the Pungwe and Buzi rivers in central Mozambique "have burst their banks and engulfed entire villages." "Communities are isolated and bodies are floating" on the waters, he said. The majority of them are thought to be government workers, whose housing complex was completely engulfed by raging waters. Their fate was unknown because the area was still unreachable.Zimbabwean President Emmerson Mnangagwa cut short a visit to Abu Dhabi, returning home on Monday.